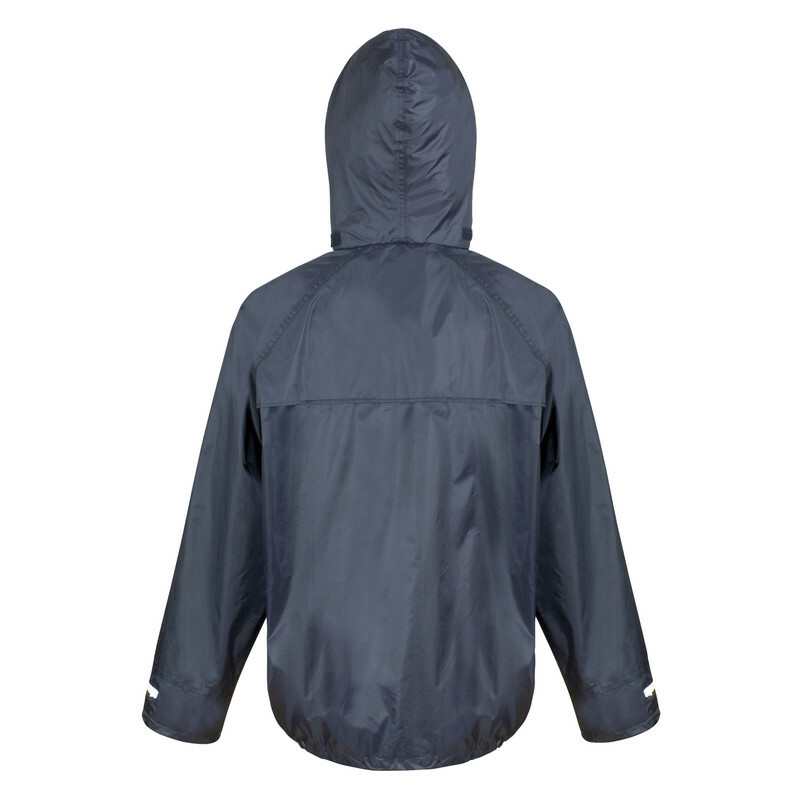 150gsm PVC-coated polyester with taped seams. Navy Waterproof Jacket Medium is rated 4.0 out of 5 by 27. Rated 2 out of 5 by Demolition from Not very hard-wearing I know they're only cheap, and they did keep me dry, but I had holes in them within an hour. For building work they're as good as single use. Rated 1 out of 5 by Kinnas from Poor Bought this jacket for work, I should of realised they’d be poor got the price. Light rain shower and could feel it coming through. Rated 5 out of 5 by BBBBBB from Great value Does the job. A very good fit. 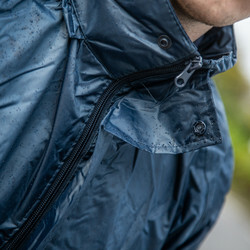 Some waterproofs are sized XL but are probably only medium. This L size is as it should be. 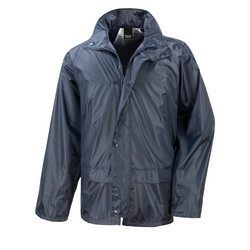 Rated 5 out of 5 by tomtheBuilder from Great jacket for the price Well made waterproof clothing in good material. Unbeatable for the price. Rated 4 out of 5 by electric bike man from Quality! Use them on my bike. Brilliant. Cheap. 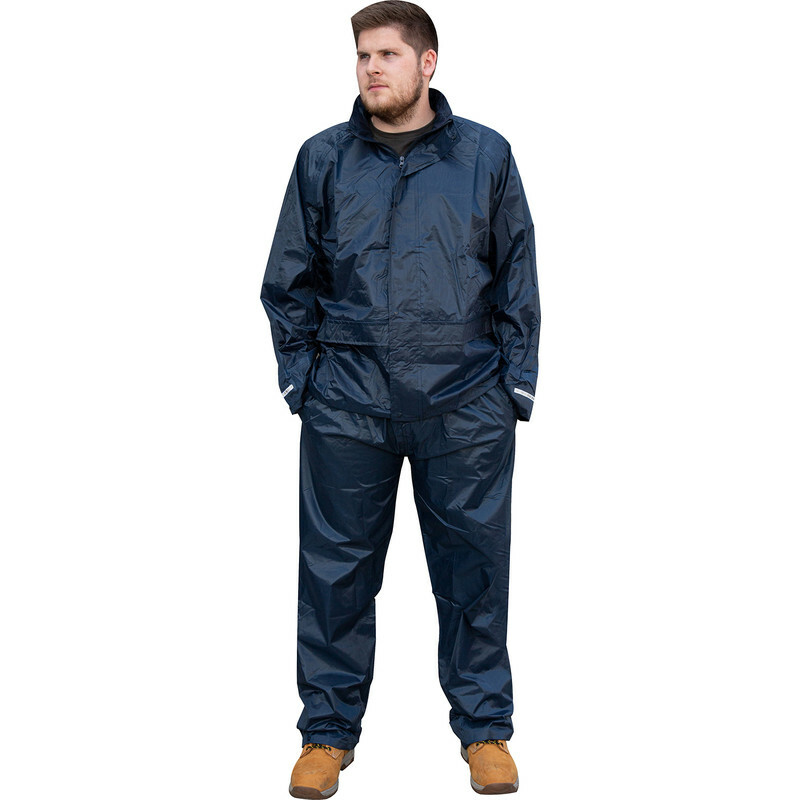 Better than many so called waterproof troosers.